In the beginning of October, domestic titanium dioxide market continued with the warm atmosphere since the end of September. So far, there are around ten producers announced to raise the prices of titanium dioxide, most of the products are anatase TiO2 and rutile TiO2 with chloride process. 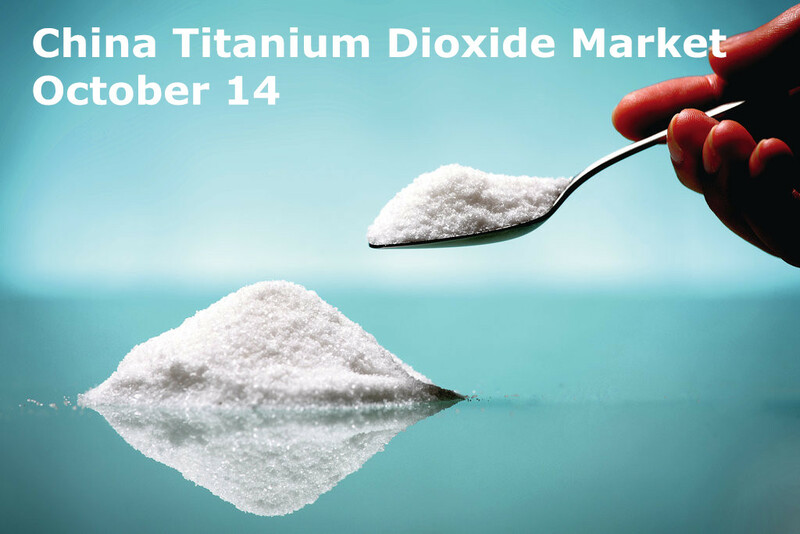 Many other titanium dioxide producers are planning to announce the price hike adjustments very soon. According to sources, the demand for domestic titanium dioxide is stable and many producers expressed that they are still in tight supply of titanium dioxide. On the other hand, the prices of raw materials like ilmenite and sulphuric acid are rising. These factors may continuously push the domestic titanium dioxide market to a good position in the near future. The current prices of titanium dioxide (October 14): Lomon (R-966), CNY13300-14000 ($2040-2147) per metric ton; Main market price (Rutile Tio2), CNY12000-13600 ($1840-2086) per metric ton; First class manufacturers (Rutile Tio2), CNY12800-13600 ($1963-2086) per metric ton; Second class manufacturers (Rutile Tio2), CNY12000-12800 ($1840-1963) per metric ton; Main market price (Anatase Tio2), CNY9200-10500 ($1411-1610) per metric ton. In the European titanium dioxide market, Q4 negotiations are still ongoing, while there are mixed views about the level of the increases that are being discussed for Q4 contracts. Nevertheless, sources in the coatings sector said that the increases range between €110-150/tonne. The current contract price of titanium dioxide in the Europe is 1.96-2.25 EUR/kg. The US TiO2 market sentiment continued to trend toward fourth-quarter rollovers, but sellers are not yet conceding that point, buyers said this week. All but one of the major US pigment suppliers separately proposed 7 cents/lb price efforts that would be implemented on or after 1 December this year, if successful. Demand for TiO2 from US coatings markets has been weakening, but it was steady well in September, most sources said. The seasonal decline in demand usually is evident by late summer. The current contract price of titanium dioxide in the US is 1.23-1.30 USD/lb. Asia market prices of titanium dioxide were unchanged in the week, as most market players remained in the thick of discussions for Q4 contract prices. TiO2 buyers and sellers remain caught in a deadlock over Q4 contract prices in Asia which are progressing slowly. Producers were targeting an increase of around $150/tonne in Q4 amid tight global supply levels. The current market price of titanium dioxide in Asia is $2200-2400/tonne. If you are interested in the precise stats of China titanium dioxide trading activities in October 2016, please follow our Linkedin Page or contact us directly!